Jennifer James started blogging in 2004 as a way to connect with other women. She had two little ones in diapers and needed an outlet to express herself. In 2007, she decided to start Mom Bloggers Club, because at the time there was no place for moms who blog to network and connect with one another. Brands reacted — and almost immediately approached her to buy advertising and to create campaigns. She initially turned them down, resisting the intrusion of advertising into her community. She also admits she didn’t really know how to work with brands at the time. She finally realized it was foolish to continue to turn away revenue that could build a very healthy business, especially because the requests continued to fall in her lap. She taught herself how to work with brands, set pricing, and most importantly figured out how to share the income with her community members. She is now known as one of the pioneer bloggers in the area of connecting brands and bloggers. Mom Bloggers Club now has over 13,000 members who participate in brand campaigns such as sponsored posts and well-paid ambassador programs, and who also have access to banner advertising through the Mom Bloggers Club ad network. Jennifer’s business is so well established now that she hires regular independent contractors for project management and writing work. She also helps thousands of bloggers earn extra income from their own blogs and social media interactions. Make sure you have the right intention for starting a blog. If it’s just to make money, you’ve already lost. There has to be true passion behind your blog. Never underestimate the power of a well-designed blog. It will take you very far. Attend at least one blogging conference a year. Sometimes it takes money to make money. You will meet and network with people who may have great opportunities for you. 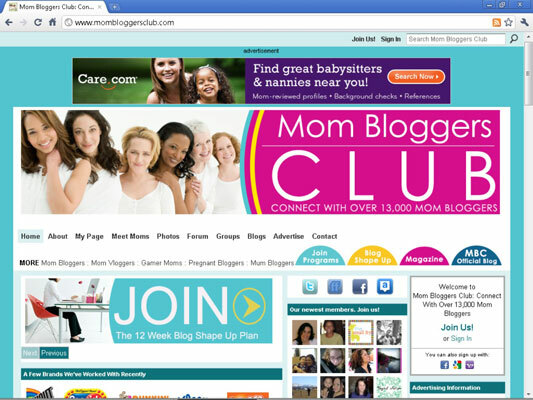 Started blogging: 2004, Mom Bloggers Club founded in 2007. Income estimate: Jennifer earns the equivalent of the salary from a really well-paid full-time job. How Jennifer makes money: Consulting with clients who want to work with mom bloggers, advertising revenue, and creating social media campaigns for the members of Mom Bloggers Club.